Kings Norton Coaches offers Birmingham coach rental and luxury minibus hire for customers in Birmingham. We offer private minibus hire Birmingham airport and coach charter service for destinations across the UK. Kings Norton Coaches offers Birmingham getaways and fun day trips from Birmingham to destinations across the UK. There are day trips for families and day trips for couples available in our downloadable brochure. Kings Norton Coaches has thirty years experience offering coach hire for schools and coach services for colleges. We can offer coach rental for school trips, minibus for sports teams and morning shuttle buses for schools. 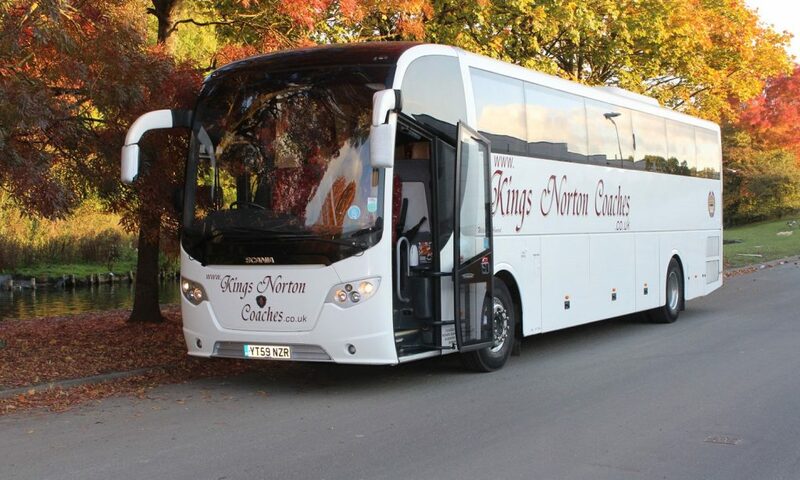 Kings Norton Coaches has been a operating safe and efficient coach company for over thirty years. We are a family-owned business that specialises in private coach hire. We offer luxury minibus hire, national coach travel, Birmingham getaways and day trips from Birmingham. We also offer coach hire for schools and minibus hire for sports teams. Our customers know that they can always rely our our coach company to private them high quality coach hire and services. We are always willing to help give advice on how to get the most from your journey. Call our highly experienced staff to discuss your journey. We’re always on hand to answer any questions you have. 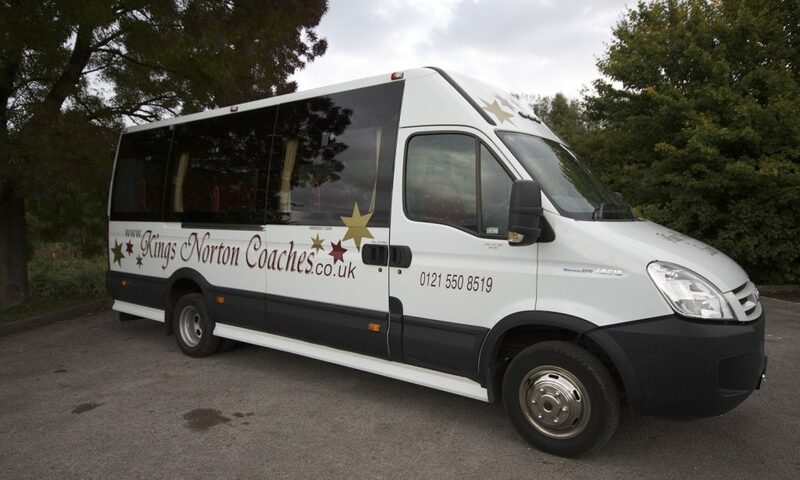 Kings Nortin Coaches has thirty years experience in providing excellent private coach hire in Birmingham. We are the most trusted Birmingham charter bus rental service, meeting all of our client expectations. Whether it is for minibus hire Birmingham Airport or a London to Birmingham coach service. We can tailor our UK coach rental to your needs. We provide both luxury minibus hire and minibus hire with driver, meaning you have the flexibility for your journey. Kings Nortin Coaches provides a range of cheap day trips for national UK holidays. If you are looking for day trip ideas for couples or fun day trips for families, we have a great selection of cheap day trips. If you are looking for unique things to do in Birmingham and even day trips to Wales from Birmingham. We can offer you great Birmingham getaways. Why not download our brochure to see fun day trips for couples and the best city trips that the UK has to offer. Kings Norton Coaches are well known and trusted as a provider of private coach hire Birmingham. We offer reliable, safe and legal service for schools, colleges and universities. All of our drivers are CRB-checked, making us the perfect partner for your eduction needs. We offer bus rental, sports team bus rental, school bus rental or shuttle bus rental. We have thirty years experience in providing school coach services. Which includes morning school shuttle bus and international school trips. …get in contact to begin your journey. Kings Norton Coaches is a family-owned Birmingham coach company that offers private coach hire to clients across the United Kingdom. Our coach company has over thirty years experience in maintaining a fleet of high quality coaches and luxury minibus. Our vehicles are kept to the highest standards. This ensures when you have a Birmingham coach rental you always receive the highest quality vehicle. All of our Birmingham coach drivers are highly experienced and are DBS-checked, to ensure they can always offer the best service. If you are interested in a coach rental Birmingham, feel free to contact Kings Norton Coaches. Kings Norton Coaches offers a coach hire Birmingham and coach rental Birmingham at highly competitive prices. We are a highly trusted family-owned business based in the West Midlands but with a national reach. We can meet any of our customer requirements and always strive to ensure that they are happy with the service that we provide.